Augmented Reality applications (AR) expand the reality in a computer-assisted manner by adding useful additional information. Using a tablet computer or a smart phone, matching explanations, pictures or videos are added to the live image once the user points the devices camera at an area for which Augmented Reality information is available. Market researchers are convinced: Concomitant with the widespread use and growing prevalence of smart phones and tablet computers, Augmented Reality solutions will play a key role in our future lives. Bosch is a pioneer and trendsetter in terms of Augmented Reality applications for the automotive sector. 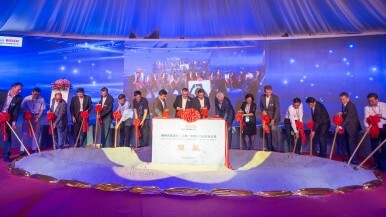 At the same time, it is the first company providing a platform for the industrialization of Augmented Reality. 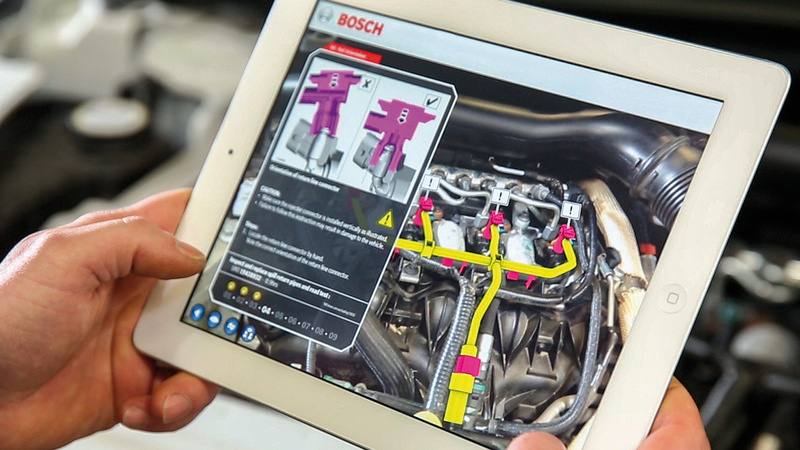 Bosch developed a platform for the creation of high-performance Augmented Reality applications. In a relatively easy and fast manner, it facilitates the integration of digital and visual contents into, for instance, technical documentations. For this purpose, the Bosch Common Augmented Reality Platform CAP is backed by a comprehensive database of which it extracts the matching contents for the respective Augmented Reality application. Besides written information and explanations in text format, video clips, pictures, safety instructions with audio clips, 3D data, circuit diagrams, technical drawings and markers for the tracking configuration can be added as well. The cross-platform system is independent from specific tracking or rendering techniques. The platform is thus designed for the industrialization of AR contents and applications allowing companies to use Augmented Reality for all sectors. 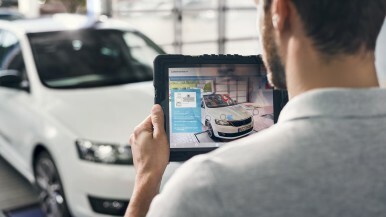 Thanks to Augmented Reality applied in automotive workshops, the technician will see, for instance, the location of hidden components or the cable harness behind the dashboard on his tablet computer. Instructions and required special tools will then be displayed at the live image. The next work steps are thus clear and unnecessary disassembly and assembly can be avoided. By means of the touch screen, the displayed objects can be controlled and additional information can be accessed. Sophisticated and time-consuming consultation of service manuals is no longer required. Mistakes and confusion caused by different versions of the same vehicle model can be excluded. 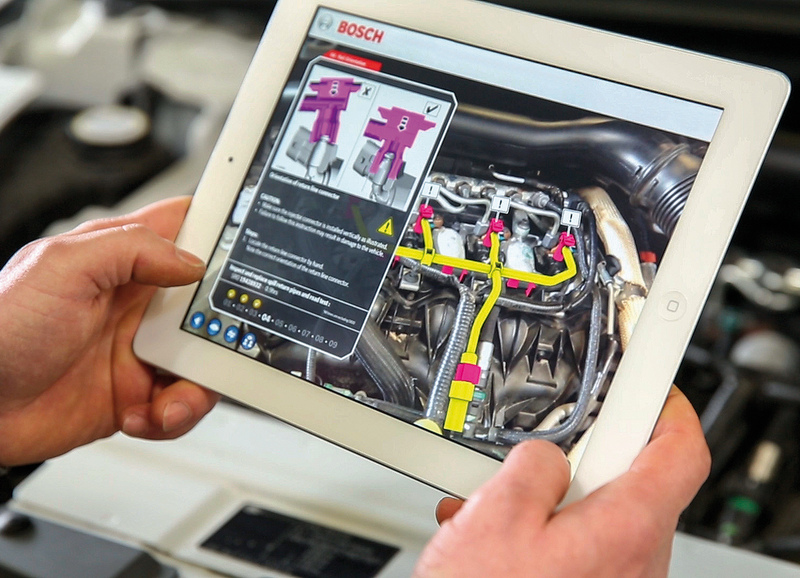 Augmented Reality eases repair processes, makes them faster and, at the same time, increases the quality of work. With the help of Augmented Reality used for trainings, sophisticated repairs and the correct handling of state-of-the-art automotive technology can be taught much easier and faster.